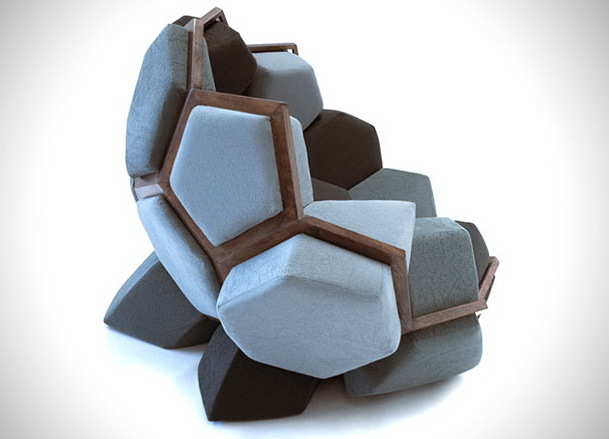 Designed as a collaboration project between CTROL ZAK and David Barsaghi, the Quartz Chair is a geometrical masterpiece. 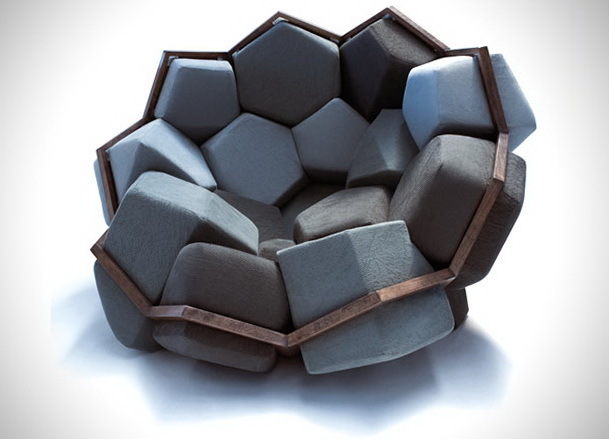 Not to mention the fact that it looks like quite comfortable as well. Constructed from aluminum, natural foam, and Beechwood, this limited edition chair is completely modular. 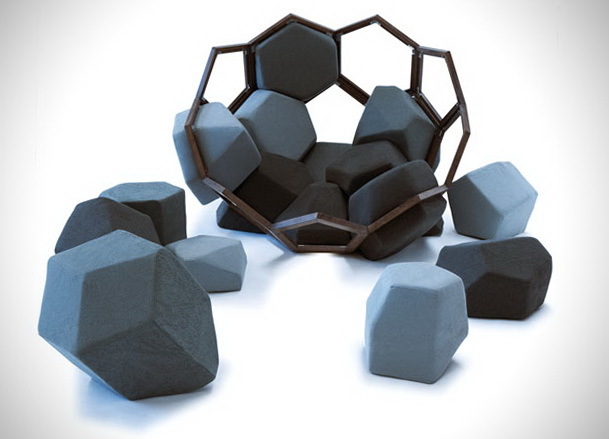 When intact, the foam pieces group together to form a cozy looking chair, but you can also remove each of the pieces to create individual seating perfect for multiple guests.